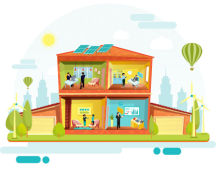 Why Choose Phoenix as Your Small Business Energy Supplier? Local Law 133: How Will NYC’s LL133 Impact Your Bottom Line? Wind Turbines VS Solar Panels: Which is Better? What is Methanogenesis and Biomethanation? Are Community Solar Gardens The Next Big Thing In Powering Our Future? Can Factories Benefit From Solar Power? How Relevant is a Solar Community Today? How will the next 4 years impact the renewable energy industry? What are leading nations in renewable energy? New York City Businesses: What is a Commercial Energy Management Plan? How is AmeriCares Promoting Community Health? What are Renewable Energy Credits and How do they Help? Is Nuclear Energy a Good Choice for an Eco-Friendly Business? Should Restaurateurs In New York Choose Solar Power For Cooking? What is a Commercial Energy Management Plan and How Can it Help Your Business? Energy Inefficiency Could be Costing Your Business a Fortune-Here's How (and What You Can Do About It)! What CSR and how does it affect my business? Keep Your Green In Your Pocket This Earth Day! How Do I Know If My Appliances Are Energy Efficient? Are ESCos Cheaper Than Con Ed? What does an ESCo scam look like? Where Does Our Energy Actually Come From? What is Renewable Energy, and How is it Different Than Other Energy? I thought I was on a fixed rate - why are my rates changing? What is New York's REV? What is ENERGY STAR and how can it help me save money? What is a Con Edison System Benefits Charge? What’s the Difference Between a Fixed, Variable, and Market-Capped Electricity Rate? What are the charges on my Con Edison bill? How Do I Offset My Electricity Usage? Why Do My Home and Business Have Different Energy Rates? What are Occupancy Sensors, and do They Reduce My Electricity Usage?